Belarusian Premier League powerhouse FC BATE Borisov have launched their 2019 home and away kits. 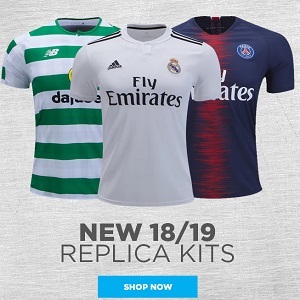 The Belarus champions of the last 13 years and and UEFA Champions League group stage qualifiers of six occasions are outfitted by adidas for the third season in a row in 2019. The new FC BATE Borisov jerseys use a brand new v-neck design from adidas’ 2019 teamwear catalog. The yellow home and light blue away kits are highlighted with digital dotted prints on their front in a darker color than their bases. Contrasting adidas shoulder stripes and collar and sleeve cuff trim add additional detailto the shirts.